AB de Villiers is a South African cricketer whose full name is Abraham Benjamin de Villiers. He is a right-hand batsman with right arm medium bowling style. On the field, his position is that of a wicket-keeper. He is an all-rounder in cricket and likes to play many games like rugby, golf, and tennis. Let’s have a look at AB de Villiers biography and achievements. The talented AB de Villiers was born on 17th February 1984 in Pretoria in Transvaal Province, South Africa. He completed his schooling from the Afrikaanse Hoer Seunskool at Pretoria. Since he was the son of a Rugby union player, he was encouraged from a young age to play sports by this father. After getting selected for South African U19 team AB de Villiers made his debut in 2003-04 in the Titans. In 2004, he went onto play for the Carrickfergus Cricket Club in Northern Ireland. In the 2015 World Cup, De Villiers was one of the top performers scoring a splashy 482 runs at an average of 96.0. He became the first South African player to hit a double century against team India. AB de Villiers has captained team South Africa in 103 ODIs and went onto win 59 of those matches. He has many records to his name like the fastest 150 scored in an ODI against West Indies in 64 balls in 2015. The record of scoring the fastest half-century in 16 balls and a century in 31 balls both against the West Indies in ODIs have also been taken by him in his stride. Test matches: AB has amassed a whopping 8690 runs in 113 test matches, at an average of 50.82. The score includes 45 50s, 22 100s, and two double-centuries. His highest score of 278* runs was hit while playing against Pakistan in Abu Dhabi. ODIs: He has scored a brilliant 9577 runs in 228 matches at an average of 53.5. He has also scored 53 50s and 25 100s. His highest score of 176 was scored against Bangladesh at Boland Park, Paarl. T20s: He has scored an outstanding 1672 runs at an average of 26.12 and with 10 50s. His highest T20I score of 79 runs came against Scotland. 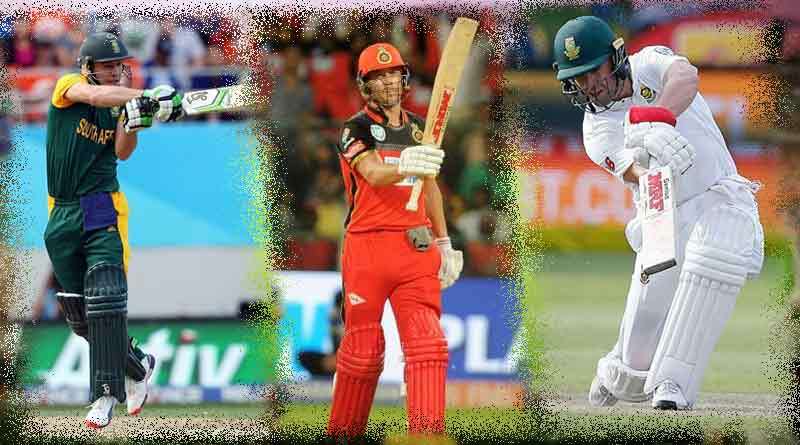 For more articles like ‘AB de Villiers biography and achievements’, do follow us on Facebook, Twitter, and Instagram.